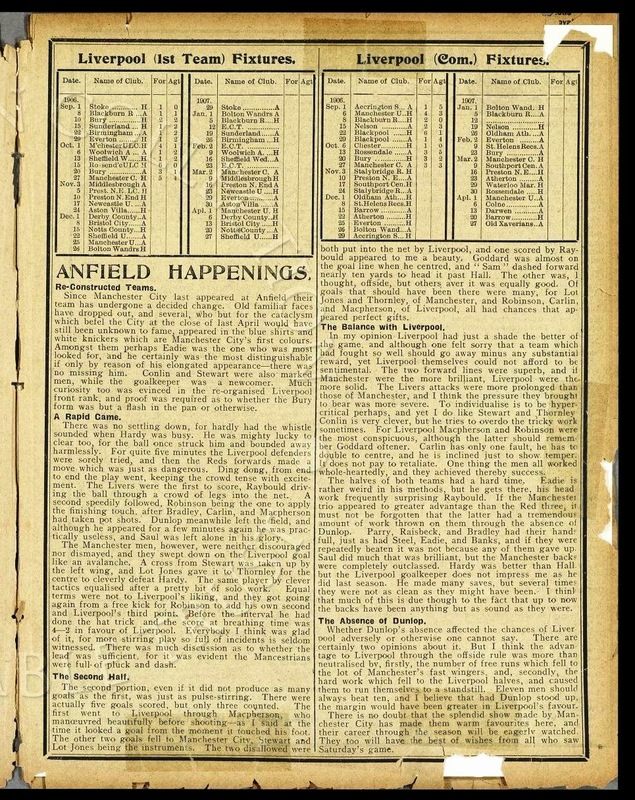 As a preview to this Sunday's Premier League 'decider' at Anfield, this is a report from 27th October 1906 of an amazing match which ended with City losing 5-4! Lets hope it's a better result this weekend! I'm sure all City fans will show their respect for the 96 Liverpool fans who lost their lives at Hillsborough on 15th April 1989, the 25th anniversary of the tragedy will be marked at football grounds throughout the country this weekend.